He was a giant of Cold War journalism, reporting from the alleyways of Vienna, Berlin and Budapest and the jungles of Biafra and Paraguay. A war hero, a Nazi-hunter, a spy and a master manipulator, he was also a major influence on several of the 20th century's greatest thriller-writers. 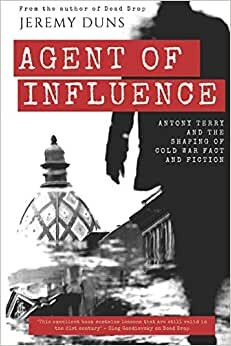 Jeremy Duns delves into the many worlds of Antony Terry. Start reading Agent Of Influence on your Kindle in under a minute. Any new book by Jeremy Duns is cause for excitement as one can look forward to learning something new and/or being highly entertained, usually both. 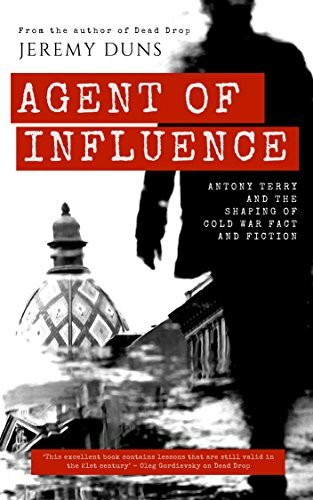 In this slender volume, we learn of the impact of Cold War journalist Antony Terry, on espionage events and fiction. Terry seems to have been a man not unnecessarily burdened with the provenance of his information and for whom the line between speculation and fabrication had a certain elasticity. This book contains fascinating insights into Ian Fleming’s Cold War activities, as well as some “what if?” scenarios about John Le Carre. Like all good non-fiction, it leaves the reader yearning for more and in my case, particularly with a desire to learn more about the Mercury network and a desire to seek out books by Sarah Gainham, Terry’s one time wife. Recommended.